Issue: Today I faced a weird issue that when I try to browse my Content Source, crawl log, etc I get error “The remote procedure call failed” (Exception from HRESULT: 0x800706BE). On Search admin page I could see All Error. Application Server Administration job failed for service instance Microsoft.Office.Server.Search.Administration.SearchServiceInstance (7041cac9-78a8-4e9d-9b68-7fd58e549e36). Windows could not start the SharePoint Server Search 15 service on computername. Got Upgrade available in Central admin. So planned to update the server by running PSconfig wizard. SharePoint Products Configuration Wizard version 15.0.4420.1017. Copyright (C) Microsoft Corporation 2012. All rights reserved. Waiting to get a lock to upgrade the farm. Successfully initialized the SharePoint Products configuration. Successfully initiated the upgrade sequence. Failed to upgrade SharePoint Products. An exception of type Microsoft.SharePoint.Administration.SPUpdatedConcurrencyException was thrown. Additional exception information: An update conflict has occurred, and you must re-try this action. The object SPUpgradeSession Name=Upgrade-20140923-132412-856 was updated by domain\user, in the PSCONFIG (8960)process, on machine computername. View the tracing log for more information about the conflict. Successfully stopped the configuration of SharePoint Products.Configuration of SharePoint Products failed. 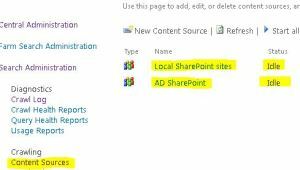 Configuration must be performed before you use SharePoint Products. For further details, see the diagnostic log located at C:\Program Files\Common Files\Microsoft Shared\Web Server Extensions\15\LOGS\PSCDiagnostics_9_23_2014_13_23_25_265_114189745.log and the application event log. 10.00% : Failed to start service SearchServiceInstance on this server after completing upgrade. Please start it manually. Tried to run SharePoint Products and configuration wizard from UI and now search service was started. Confirmed that search is also working fine.